I’m hosting Charlie Cochet on my LJ today as part of her tour with Creative Minds Promotions for her new release Beware of Geeks Bearing Gifts. There’s also a rafflecopter giveaway. I’m hosting Tempeste O’Riley on my LJ today as part of her cover reveal for her upcoming release from Dreamspinner Press: Whiskers of a Chance. I’m hosting Sedonia Guillone on my LJ today as part of her blog tour with Eyes on Books for Danny’s Dragon. There’s also a rafflecopter giveaway. 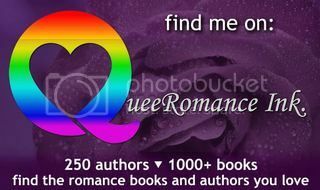 I’m hosting Erin McRae and Racheline Maltese today on my LJ. They’re blogging about their new release with Dreamspinner Press Twelfth Night. I’m hosting Nic Starr today on my LJ as part of her blog tour with Creative Minds Promotions for her new release Andrew’s Promise which is book 2 of her Heroes series. There’s also a rafflecopter giveaway. I’m hosting MJ Ferguson on my LJ today as part of her tour with Creative Minds Promotions for her new release Bad Day. There’s also a rafflecopter giveaway. I’m hosting Grace R. Duncan on my LJ for her cover reveal for her upcoming Dreamspinner Press release Devotion. The gorgeous cover is by Reese Dante.